Belinda Faye Owens, 55, departed from this life on November 24, in her home in Elkhart, Indiana. Ms. Owens was born January 28, 1963, to Lefate and Ora Lee Owens in South Bend, Indiana. Belinda professed her faith in Christ at a very young age, while attending Mount Carmel Missionary Baptist Church in South Bend, Indiana while under the leadership of Rev. D.T. Taylor. Belinda attended James Madison Elementary School and Clay High School in South Bend, Indiana. She graduated from Clay High School in 1981. While in high school, Belinda played a multitude of sports, including softball, racquetball, and shot put. She also enjoyed singing and sang at several weddings even her friend Dominque’s wedding in Belgium. Belinda attended Indiana University in Bloomington, Indiana, starting the summer after high school graduation. Four years later, she graduated from there with a bachelor’s degree in Criminal Justice. The following year, she returned to Indiana University Bloomington, where she took masters-level courses. 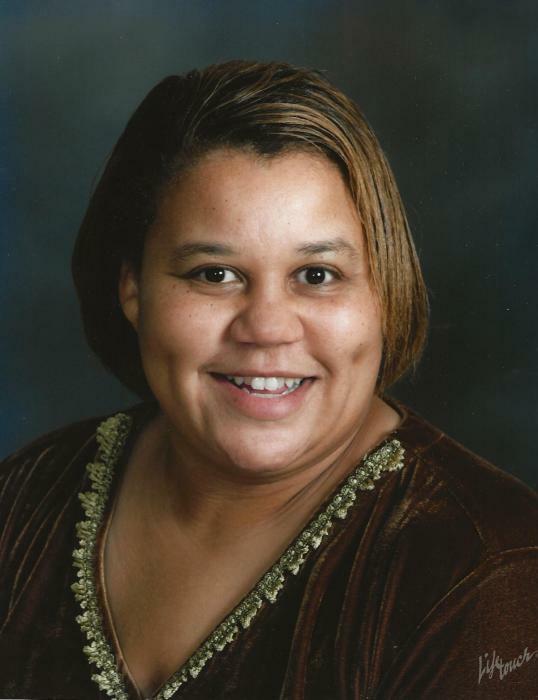 Belinda worked as: A Caseworker through Child Protective Services for many years; a Security Officer for The University of Notre Dame Police Department, and as a Paraprofessional at Warren Elementary School and Marshall Intermediate Center in South Bend, Indiana. During her time with Notre Dame she gave birth to her child Caleb Owens, which led to her working for South Bend Community School Corporation. In 2006, Belinda relocated to Cassopolis, Michigan, to help care for her aging grandmother. While there, she worked at Hawthorne Elementary, and then Pierre Moran Middle School. She also attended Chain Lake Missionary Baptist Church under the leadership of Reverend Norman Tubbs. Belinda was a member in good standing at Community Missionary Baptist Church in Elkhart, Indiana at the time of her passing. Belinda touched the lives of many students over the years and challenged them to always do their best. She was very supportive mom and was best known for cheering the loudest at Caleb’s concerts and recitals. She was also known for applying “Tough Love” with a smile. She loved to dance to Prince songs, and she loved singing songs performed by her 2 most favorite singing groups: Heatwave, and The Emotions. She was preceded in death by her Maternal Grandparents: Jake Sherman Smith and Lesester (Smith) Mitchem; her paternal grandparents: Hermon and Birdie Lee (Prude) Owens; her sister Yolanda (Owens) Anderson; several aunts and uncles; and a longtime childhood friend: Tammy Gaby. Belinda is survived by her mother and father, Rev. Lefate Owens, Sr. and Ora Lee Owens; her brothers: Lefate (Anabel) Owens of Cavite, Philippines; and Rolando Miguel Owens of Elkhart, Indiana; her son, Caleb Owens; one niece: Candice Anderson of Elkhart, Indiana; and a host of great nieces and nephews, cousins, aunts and uncles; as well as her Niece/Goddaughter Martika Binion. Belinda also leaves to cherish her true childhood & lifelong best friends Robert Henry, and Vicki Harris both of South Bend, IN, Dawn Swihart of Florida, and Tammy Kennedy of Michigan City, IN. Belinda leaves the best of memories singing, dancing, and always smiling in our minds, but her legacy and her spirit will remain in our hearts forever.